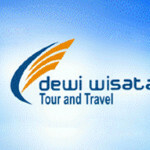 Enjoy the spacious nature Toraja offer. 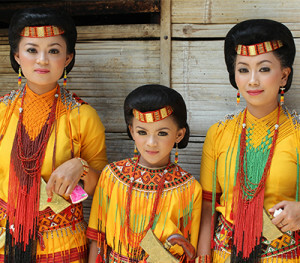 There are many areas Toraja famous for its natural beauty. Local people call the area the "Land in the Clouds". 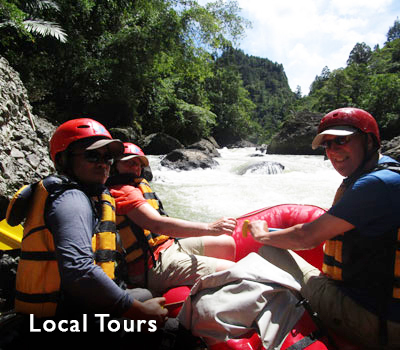 There is no better place other than the Toraja to enjoy the natural beauty. 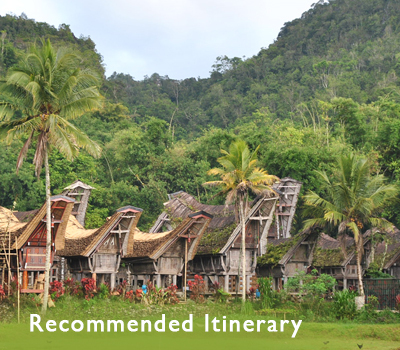 Enjoy the vast cultural Heritage that Toraja has to offer. 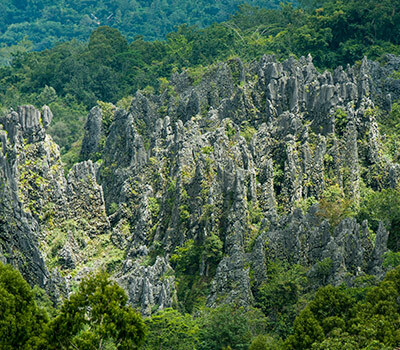 The arable land of Toraja is very limited due to its rocky terrain. It is isolated by natural barrier, making it hard to trade with outsiders. 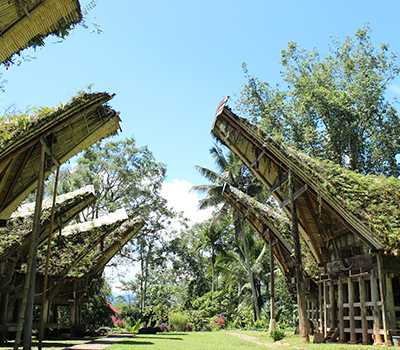 Tongkonan, a wonder of architecture from the dawn of Toraja civilization, is far from a simple abode. 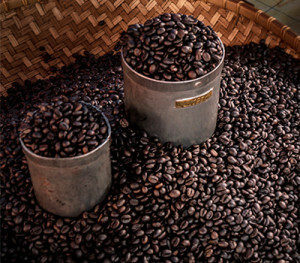 One of the most famous types of coffee grown in Indonesia is from the highlands of Toraja. Located 1,500 meters above sea level, Toraja is an ideal place to cultivate coffee producing some of the best beans in Indonesia. 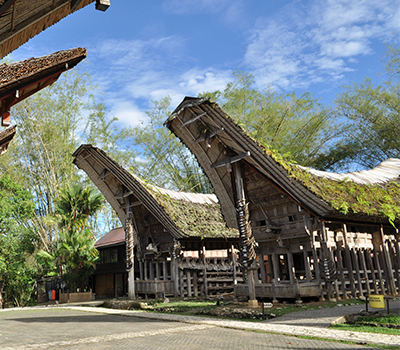 Toraja has its own distinctive cuisine that is unique to the region. 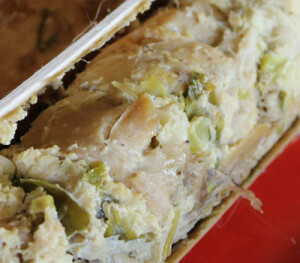 Many of these traditional dishes are served at traditional ceremonies such as funerals. To help you make the most of your trip to Toraja and experience some of the local delicacies for yourself. 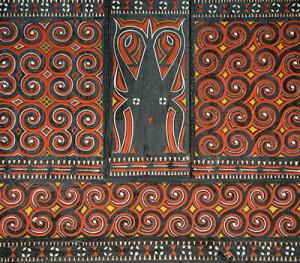 The artistic side of Toraja never ceased to exist. 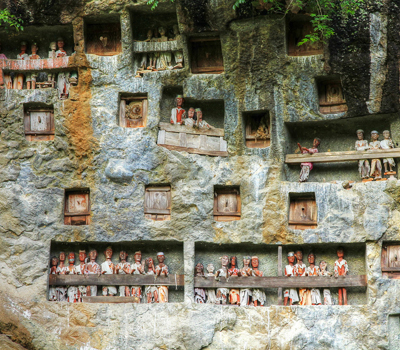 As you explore Toraja it is hard not to be enchanted by the traditional arts that are on display wherever you go. 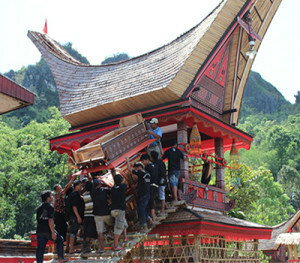 The traditional arts of Toraja are closely linked to the local culture. Pasar Bolu (Bolu Market) is where most money in Toraja rotates. 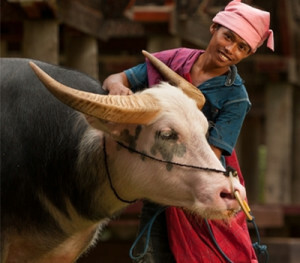 Once every six days, small herders brought in with their trucks buffaloes, ranging from ordinary ones to the exquisite Tedong Bongas - or albino buffaloes - worth billions of Rupiah. Toraja has an ethereal charm. It is a place with surprising local customs and an approach to death that is unique to Indonesia. For death is seen as the ultimate goal of life. 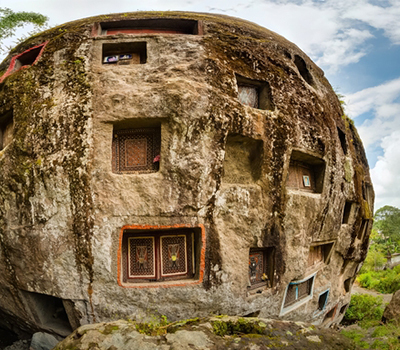 There is no better place in Toraja to experience the beauty of nature than Batutumonga. 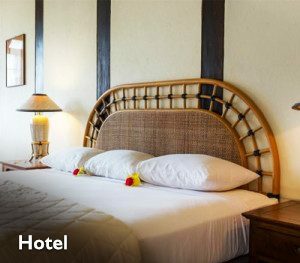 Located on a dramatic ridge, high on the slopes of Gunung (Mount) Sesean, 90 minutes’ drive away from Rantepao, the capital of Toraja Utara. 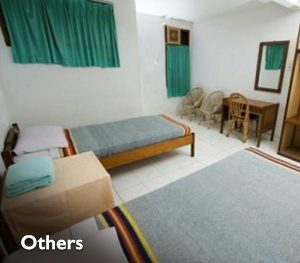 Batutumonga offers relaxing ambiance, cool temperature, and beautiful views. 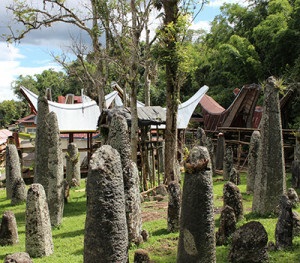 Bori' Parinding is a megalithic funeral site and burial ground. The site is located next to the side of the main road and is a 20-minute drive from Rantepao along winding country roads. The countryside in this part of Toraja is picturesque with flat open land covered in green rice fields that ripple in the wind. Along the route from Rantepao to Bori' Parinding visitors pass through small villages. Buntu Pune located 3Km south of Rantepao. 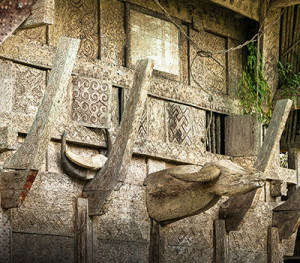 The village is famous for its two large Tongkonan, seven traditional granaries and the open ceremonial ground (Rante Karassik). The traditional Torajan buildings in Buntu Pune date back to the late 19th century. The people of Toraja have many varied burial practices, but the one that most intrigues tourists visiting the region are the tree burials. 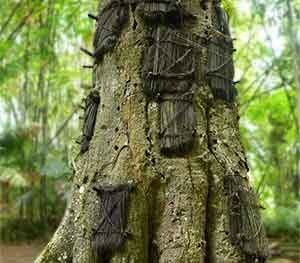 These burials, where a deceased baby is interred within living trees, can be seen in the village of Kambira. Ke’te Kesu’ is nominated as a UNESCO World Heritage Site and it is easy to understand why. The village is one of the most complete traditional Torajan settlements in the highlands. The site consists of 6 Tongkonan houses along the main avenue, 12 granaries, a large open ceremonial ground and burial site. The village is surrounded by rice fields and can only be accessed by following a small track. Torajans are famous for their funeral rituals, which are many and varied. 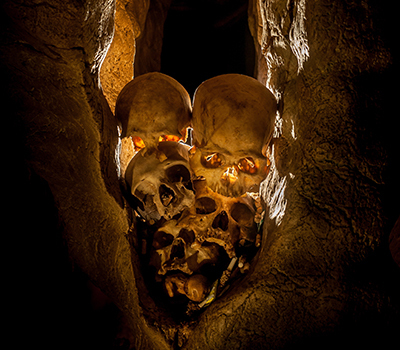 Exploring the region you can find tombs cut into a rock and the babies entombed in trees. Lemo is famous for a different reason. This funeral site is a place where you can see carved wooden effigies of the dead. 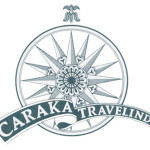 Londa is located 6 km from the city center of Rantepao, the capital of Toraja Utara district, in the direction of Makale, the capital of Tana Toraja district. It takes less than 15 minutes by car to reach Londa from Rantepao. 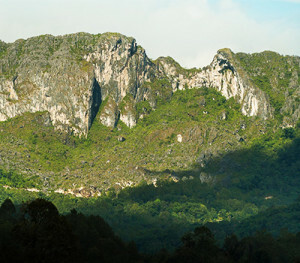 Lo’ko’ Mata is located in the north of Toraja. The burial site is around 30 km from Rantepao, close to Batutumonga, Pallawa, and Bori’ Parinding. The journey from Rantepao to Lo’ko’ Mata follows winding roads cutting through the beautiful landscape of Tana Toraja. On the way you pass terraced rice fields and forested hills.
" 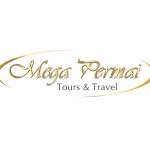 Mega Destinations One Travel Partner "